We are excited to see so many new artists joining our community and we are now receiving almost 80 posts per day. However, this increased number of posts is making impossible for curators to upvote extraordinary artworks with 100% weight and adding to this, our VP is not allowing us to upvote every post. (Original artwork by Artists). Keeping this in mind, we have decided to change our curation policy. Before we explain our new curation policy, we would like to show some statistics so that you all get a clear idea about what we have done so far and why we have to adopt this new method of curation. The total number of posts we received in November, 2017 was 4 and in December 2017, it was 32. However, you can see the huge increase in the number of posts we received in the last three months. We received 2,422 posts last month (80 Posts Per Day), 967 posts in February, 2018 and 1697 in March, 2018. You can see from the above table that our average upvote weight is constantly decreasing with the increase in posts and eventually, it will be impossible for us to check and upvote every artwork before it's payout is released. From now, we will be upvoting 4 outstanding posts (1 of them would be curator's favorite) with full 100% weight and 13 posts with 50% upvote who meet the following criteria. All art genres will be acceptable except for music and photography at this time. Some possible art forms: drawing, painting, animation, video, film, cryptographic puzzles, macrame, sewing, fabric, environmental art, sculpture, street performance, graffiti, collage, food art, comics, puppetry, opera, comic video series. Add the Creative Commons Attribution License if you want let others to use your art without imposing any restrictions. You must include every possible detail to prove that the art is created by you. This can be done by sharing pictures of your art in progress (Example) or through a video. If you are sharing any digital art, you need to mention the program that was used to make that artwork. For example Adobe Illustrator, Adobe Photoshop etc. Artwork made with the help of mobile applications will not be considered for an upvote. The decision of curators can't be challenged and you are not allowed to indulge in any kind of argument/discussion/argy-bargy with curators on why your post wasn't upvoted. You can contact us in the #help channel on Discord if you have any questions. Thanks for the information. Truly the slothicorn tag was abused. Great job all of the Core Slothicornians. This could not happen without you. Thanks everyone for responding so positively to the new guidelines. This generous spirit is so essential to Slothicorn and we're going to do our best to make sure we're cultivating abundance for artists in the blockchain realms. This is good news! 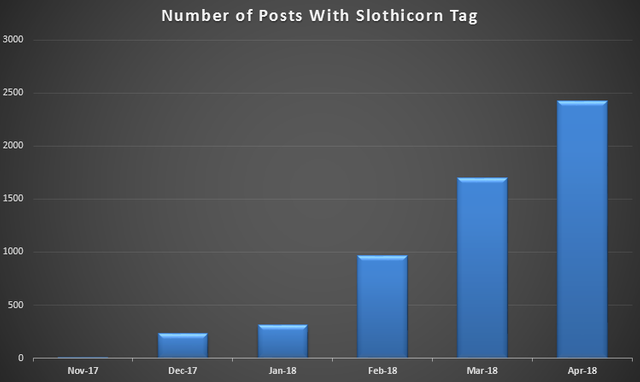 I noticed the decreasing percentage upvote and knew it must be because of the popularity of Slothicorn increasing... This was inevitable. Looking forward to see your fantastic mandalas in the . Thank you for this information, I will do the best for @slothicorn comunity and following the rules. Thanks for the update, good rules, makes the artist work harder with love of course, so we dont rush into it. 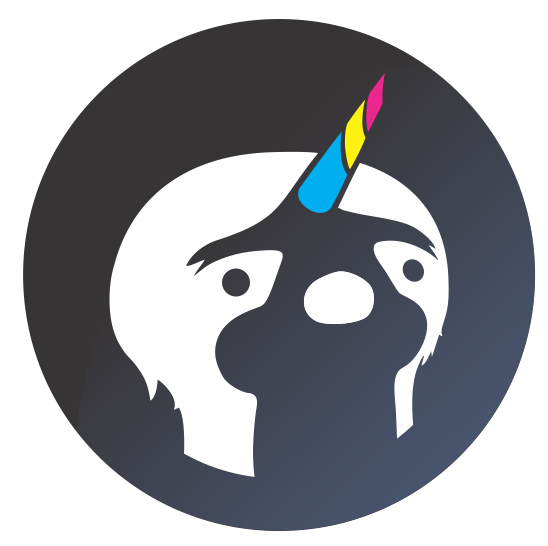 PS: isn't the Slothicorn missing the tip of his horn in the new logo ? I think I remember seeing the logo in different colors, so the tip might have been the same black as the background ? You have a good eye, @pbock. Lemme talk to Stella about this! WARNING - The message you received from @zua is a CONFIRMED SCAM! Thanks for the support you give us !! I will follow the new rules. excellent new healing policies😊, I feel very well, and I congratulate them for the growth they have had, which speaks very well of their management🎨 💪. I hope you keep growing, I always appreciate your support👏 🎁 . woaaah, i'm very happy to see many artists who began to move here. It's great to be able to grow up with @slothicorn, really this new policy will spur me to continue to produce a much better and more dancing content. Thanx for upvoting my artwork, Bond. I was pleasantly surprised and really appreciate the gesture. I also appreciate the rule change although I was unaware of them before being a minnow. However, is it possible to post my website link to my artwork because what I've been posting here on Steemit is my previous artwork from 2013 - 2016. Also, a few are in galleries, so I won't be able to hold my paintings when posting to prove it's my own work. And believe me, I would take/get no pleasure of stealing someone else's work and pretending it's mine. I'm sure some people do, but that's not who I am as a person. Besides, I really don't want that much exposure of myself/face/mug here on Steemit or any other websites unless I feel it relevant to a story. All I want to do is show my art and other works to the Steemit community and not revealing myself each time. Some people just don't want to be famous! If you respond in my favor, that would be great, but if not, thank you. Thanks for the info. It's very nice the new curation policy it helps to find out who's fake and who's genuine artist or who will be given an upvote for their effort. Congrats and more power to slothicorn fam. Thx you for information and long life @slothicorn, bravo! Greetings, @slothicorn... thank you for your support ... it seems to me that your new healing policy is interesting to know, it is very important that you emphasize that the work must be original. Oh great, thanks for your support. It helps many artists to remove their frustration. Cordial greetings for this inspiration.